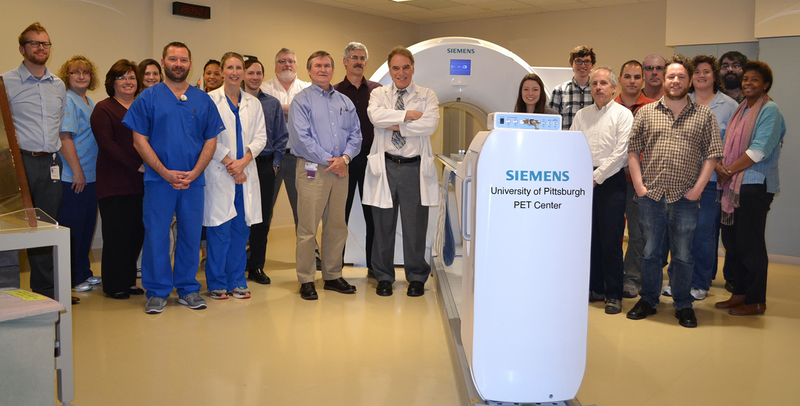 The PET Research Center is a world-class facility, most recently famous for producing Pittsburgh Compound B, a revolutionary amyloid imaging agent that detects plaques associated with Alzheimer's disease. GE Healthcare has licensed the compound, which scientists are currently testing in clinical trials. The center remains very active in Alzheimer's disease research, particularly in studying disease progression and pre-symptomatic markers.